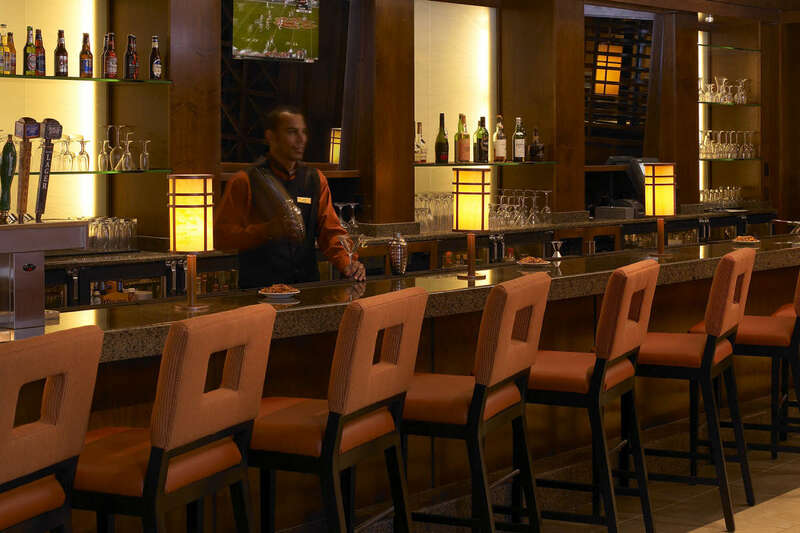 Located inside the Coralville Marriott, the Edgewater Grille is a full service restaurant offering a fresh hot breakfast, with a hot breakfast buffet on the weekends, lunch specials, and dinner featuring prepared steaks, chops, and chef specials. The Edgewater Grille also boasts a Private Dining Room with seating for up to 16 guests, that is perfect for small gatherings, celebrations, or business meetings. All major credit cards accepted.